We're very excited here at the Bloomsbury office to have received our rather beautiful printed copies of the magnificent two-volume Reception of Charles Dickens in Europe. Edited by Michael Hollington and a must for any University Library, this book brings together nearly fifty international contributors to provide a comprehensive survey of Charles Dickens's reception throughout Europe from his own lifetime through to the present day. With guides to major translations in each country and an historical timeline of Dickens's European reception, the book is a fantastic addition to our long-running Reception of British and Irish Authors in Europe series. The first European-language translation of a Dickens novel was the German edition of The Pickwick Papers, published in 1837. Dickens's account of his time in the USA, American Notes, was not published in French until the year 2000. One of Dickens's most devoted Danish fans was Hans Christian Andersen – the famous writer of fairy tales – who spent 5 weeks at the Dickens family home in Gad's Hill in the summer of 1857. Dickens's most popular book in Poland is A Christmas Carol – the story of Ebenezer Scrooge has been published in no less than 54 different Polish editions. The first European film adaptation of a Dickens novel was a 1906 silent French film adaptation of Oliver Twist. 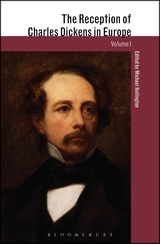 The Reception of Charles Dickens in Europe is available now for library purchase. To find out more about The Reception of British and Irish Authors in Europe series, please click the link. Wow, amazing blog structure! How long have you been running a blog for? you made blogging glance easy. The full look of your website is great, let alone the content material!